You can find private holiday rentals all over Tuscany along the Mediterranean Sea or inside in the region of Tuscany and Umbria. Italy is such a beautiful place to visit. Vacation in a holiday rental in this wonderful country would be the dream of anyone. Tuscany is a wonderful area between Lucca, Pisa and Firenze in north, the Mediterranean Sea in the west and Siena in the south. Umbria is situated east of Tuscany. Tuscany and Umbrien are a popular area for tourists, and it isn't without reason. Tuscany and Umbria offer everything what a tourist can wish himself for a holiday. Tuscany and Umbrien offer great variations from the Mediterranean Sea in west over the wine regions in Tuscany and the mountains in Umbrien to Marche and the Adriatic in the east. Tuscany offers beautiful landscapes and great wine regions, where some of the choicest wines in the world are produced. Florence - the wonderful and beautiful town with large art treasures and beautiful buildings - lies in the middle of the wine region and offers many holiday experiences. The pearl in Tuscany is Florence, the large renaissance town with the priceless and world-famous art treasures. In Florence lies the medieval bridge with all the goldsmiths, who connect the town's 2 districts over the river. Here you can buy a fine gold jewelry to your loved. In Tuscany there also are other well-known towns like Siena, Pisa and Lucca. 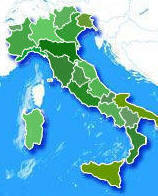 South of Florence Siena is situated at the border to Umbria. The old medieval town is completely different. The town's town hall lies at the beautiful oval place, where one holds horseraces this the spring. One never becomes full of Tuscany and Umbria and the many hotels for any wallet, but also many private holiday flats and apartments to private rental. 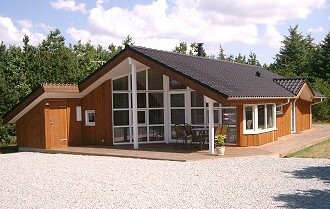 There also are a number of other holiday villages, e.g. Colle di Val d'Elsa, Elba, Bolsena the lake, Lago di Bolsena, Guardistallo, Vetriolo, Viterbo. Tuscany has a long coast to the Mediterranean with a number of towns like Tarquinia Lido and Leghorn. Umbria is a very beautiful area with many well-known sights such as the old pilgrim town Assisi. There are many holiday cottages and agriturisme, agriturismo holiday homes for private rental. You wil find hotels and the private summer houses and cottages every where in Umbria, both the hinterland of Tuscany and close to the beach - some places with rocky coast and other places with sandy beach, where you can enjoy the summer weather with sun bath on the beach or make long, fresh trips along the beach or in the beautiful hinterland.